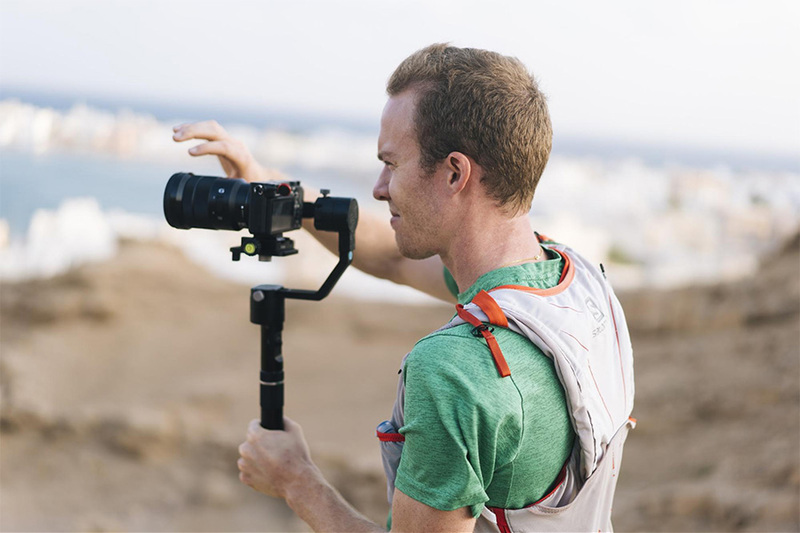 Milo Zanecchia, a 2008 graduate of TASIS who now works as an outdoor lifestyle filmmaker and photographer, opened the 2018–2019 TASIS Speaker Series with an address to the senior class in the Palmer Center at 20:00 on the evening of Monday, October 22. A question-and-answer session followed in Casa Fleming. Mr. Zanecchia, who earned a Master of Arts in Geography and Politics from the University of Edinburgh, focuses on documenting natural landscapes with a human element for outdoor brands and tourism agencies. He has worked for a number of international brands in North America, for humanitarian organizations in Africa and Asia, and on a recent Trans-Asia overland expedition from Switzerland to Mongolia that was supported by The North Face. He has also created many promotional films for TASIS, including four that have amassed more than 70,000 views on YouTube: TASIS Elementary School, TASIS Summer Programs, The Magic of TASIS, and TASIS Inspires. The TASIS Speaker Series (TSS), formerly known as the Senior Humanities Program (SHP) and renamed this year to more accurately reflect its present purpose, draws from five fundamental elements of the TASIS identity—truth, goodness, beauty, international understanding, and humanitarian action—to provide TASIS students with a signature educational experience. The influential program was initially made possible by a CHF 100,000 donation from TASIS parents Michael and Jane Grindfors to The M. Crist Fleming Endowment for International Understanding and Leadership in 2008. It remains an integral part of a TASIS education thanks to ongoing support from the TASIS Board of Directors and the excellent behind-the-scenes work done by a dedicated group of students and faculty members. Mr. Zanecchia’s visit will represent the first installment of a Community Voice speaker, an element of the TSS that features people closely connected to TASIS. He will be followed later this year by journalist Nazlı Çelik ’96, writer and producer Mike Lesslie, and scientist Mark Trodden. The TSS Committee was elated to secure the visit of a second highly successful alum: award-winning newscaster Nazlı Çelik ’96, who will speak to the senior class in the Palmer Center at 20:00 on Sunday, November 18, and lead a question-and-answer session in Casa Fleming from 21:00–22:00. Born in Istanbul in 1977, Ms. Çelik attended primary and secondary schools in Istanbul at Dost College before coming to TASIS for four years of high school. She then matriculated to Emerson College in Boston and double- majored in Psychology and Journalism, graduating with honors. Starting in 1999, Ms. Çelik worked at NTV News Center as a police-court reporter for six years. In 2002, at the invitation of the American State Department, including the White House and the Pentagon, she completed a Television Journalism program. Working at Star TV for nearly two years, Ms. Çelik presented on Nightly News with Nazlı Öztarhan and on Erdoğan Aktaş’s Red Chair program in 2006. She then moved to Star TV’s main news program from June 2006 to February 2008. From 2008 to 2011, she worked the weekend news center for Uğur Dündar and served as the news coordinator. Since 2011, she has been the chief editor of Star TV’s Home News. Ms. Çelik received her first award, from Turkey Journalists, in 2004 for an interview from the League "Ilhami Erdil" area, and she has since been honored more than 100 times for her journalism, including six Golden Butterfly awards for best newscaster. Highly sought-after screenwriter, playwright, and producer Michael Lesslie will visit a number of TASIS classes throughout February 4–5, address seniors in the Palmer Center on the evening of February 5, and host a conversation in Casa Fleming directly afterward. Mr. Lesslie has written scripts for Macbeth and Assassin’s Creed, both directed by Justin Kurzel, and has worked with such acclaimed filmmakers as Doug Liman and Johan Renck. He is currently adapting and executive producing the six-part miniseries The Little Drummer Girl by John Le Carre for the legendary Park Chan-Wook, which AMC and the BBC will screen in 2018. 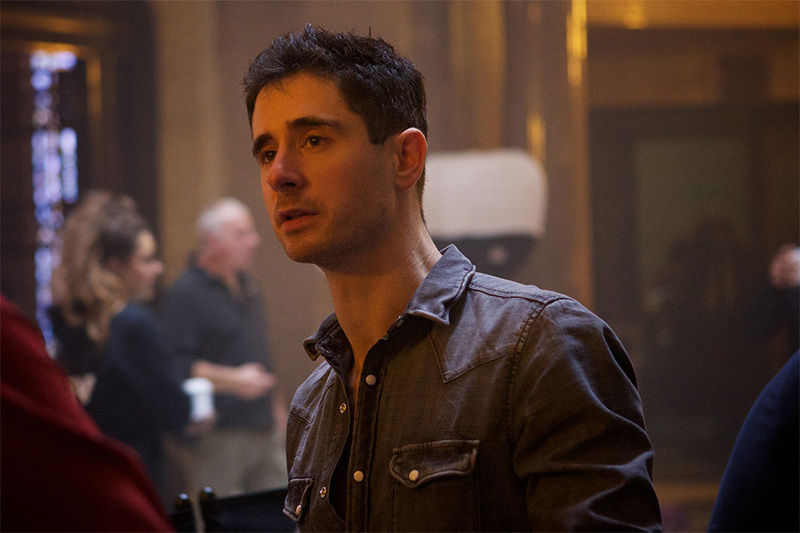 He also has four high-profile television and film projects in advanced development and is writing a contemporary screenplay of Hamlet—starring Riz Ahmed—for Netflix. Mr. Lesslie also works as a producer with his business partner PJ van Sandwijk and their company Storyteller Productions. Storyteller’s first feature documentary film, the iconic director Errol Morris’s American Dharma, will premiere in 2018. They have several more high-end film and TV projects at advanced stages of development and production. An Oxford University graduate with double First Class Honours in English Language and Literature, Mr. Lesslie began his writing career at age 23 with Swimming with Sharks, a play that opened in the West End starring Christian Slater and Matt Smith. The same year, he wrote a BAFTA-nominated short film, Heavy Metal Drummer. Mr. Lesslie continues to balance playwriting alongside screenwriting and has had his work staged in theaters and screened in cinemas across the world. 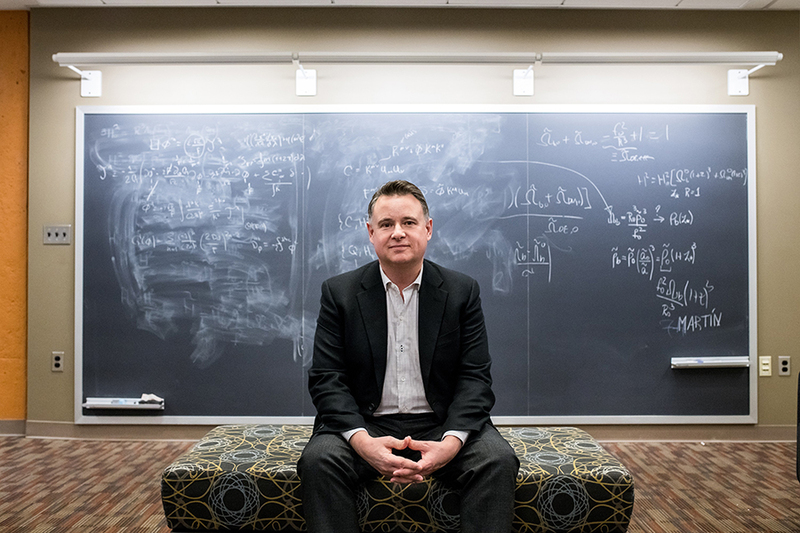 Distinguished theoretical cosmologist and particle physicist Dr. Mark Trodden will close out the 2018–2019 TASIS Speaker Series lineup when he visits March 20–21. He will speak to various science classes over the course of his two-day visit and will present to the senior class in the Palmer Center on the evening of March 20 prior to answering students’ questions in Casa Fleming.